Not sure about you, but we're definitely starting to feel anxious for summer here at Blendtec. We're already dreaming of those relaxing summer nights and much needed vacations. 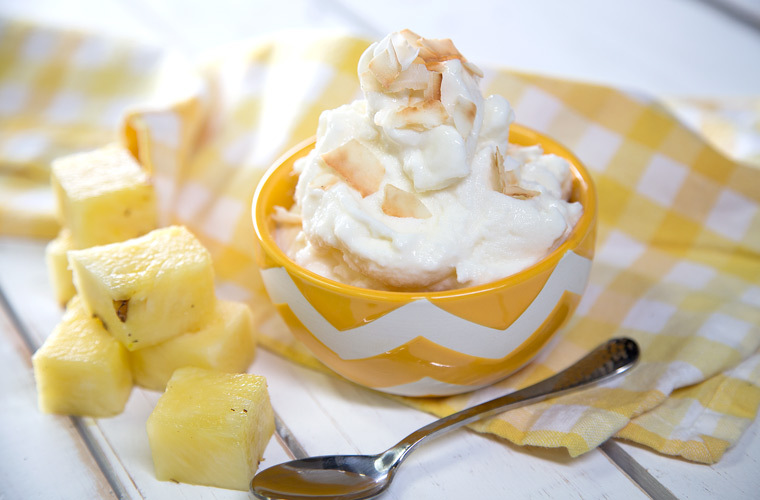 One of our favorite things about summer is eating ice cream. We really do love ice cream; from chocolate, to cookie dough, to rainbow sherbet, the possibilities for ice cream flavors are endless. 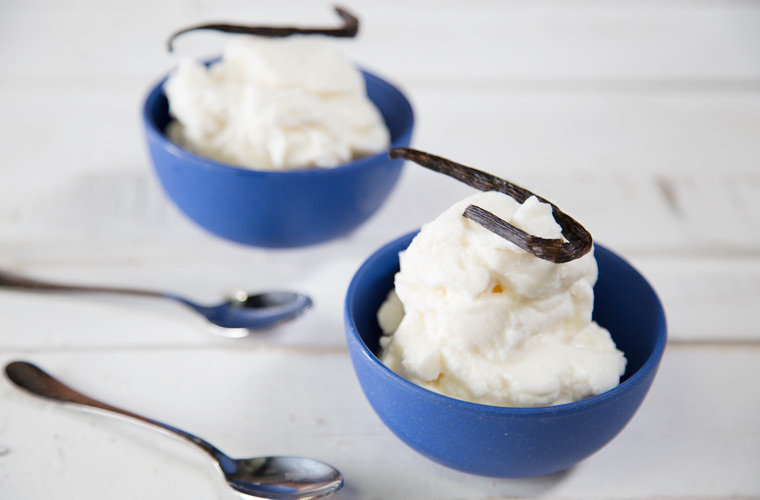 We already have a few delicious ice cream recipes readily available for you to make. But then we thought, why not create a bunch more? So we did just that! 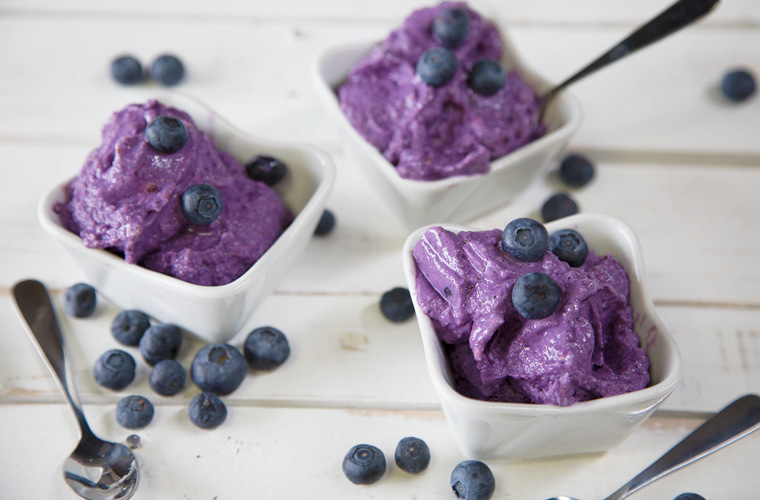 Try one of these nine new Blendtec ice cream recipes! We are so excited about these, and are positive that everyone will find something they can enjoy. See the recipe page for instructions and nutritional information. Note: You can replace the whole milk with a milk alternative but the consistency and flavor will vary. Perhaps you should freezing it in the instructions, so as to avoid confusion. Amazing and so tempting it is, will ask my girl friend to make one for me. You can but using milk only probably isn’t creamy enough to make it ice cream – it’ll be runnier and more milkshake-like. Can whole milk or canned whole milk be substituted for half n half? Some freezers are too cold. Another factor that is probably contributing is the lower fat content. You can use heavy cream instead of half and half and that should help. We haven’t tested it but other people have suggested adding a few teaspoons of hard alcohol (like rum or vodka) to help keep it from getting rock-hard solid. Tries de vanilla ice cream, the oreo cookie one and the blueberry one but replaced the blueberry with strawberry. As soon as ready all three were VERY good. However, once in the freezer they all turned into a big ice cube. Is that normal? Am I supposed to be able to freeze it and eat it later without waiting for it to unfreeze? The sweetened condensed milk can be substituted for sugar and more half and half. We’d recommend decreasing the frozen milk a little to help improve blending. Play around with the half and half and sugar to find the right consistency of ice cream. Let us know how it turns out! Try transferring it to another container and putting it in the freezer for a couple of hours (or until desired consistency is reached). Try using more frozen milk cubes and/or transferring it to another container and freezing it for a couple of hours. The ice cream you see in our picture was placed in a freezer for a couple of hours before being scooped. Happy blending! I tried vanilla ice cream but came out as milk shake. Any suggestion? I followed the vanilla step by step but it came out more like think soup (but cold) I have the wildside. Any suggestions? You can blend on a Medium to Medium-Low speed for 30-40 seconds. Keep an eye on it as to not over- or under-blend. Welcome to the family! Semi-skimmed milk is the same as fat-free or skim milk in the USA. The best UK equivalent/substitute of half and half is Single Cream, though a little milk may need to be added to make it less thick. Half and half is 12-15% fat and single cream is 18% fat. Mint leaves may be substituted for peppermint extract. The peppermint extract is for flavor, so add mint leaves until the desired flavor is reached. The spinach is for color. The mint leaves will add some color, but not as much as the spinach, so keep the spinach if you want a green ice cream. The purpose of the lemon juice is to help enhance the flavor without adding more sugar. if I use lactose free whole milk do I have to change anything else eg increase half and half ? I noticed all of these recipes call for lemon juice. What is the purpose of this? We do not have any sugar free ice cream recipes. Because of the fruit that is in the ice cream recipes, they will always have sugar content, but we can definitely look into some sugar free options. Can you use lower fat milk, half and half and/or condensed milk? 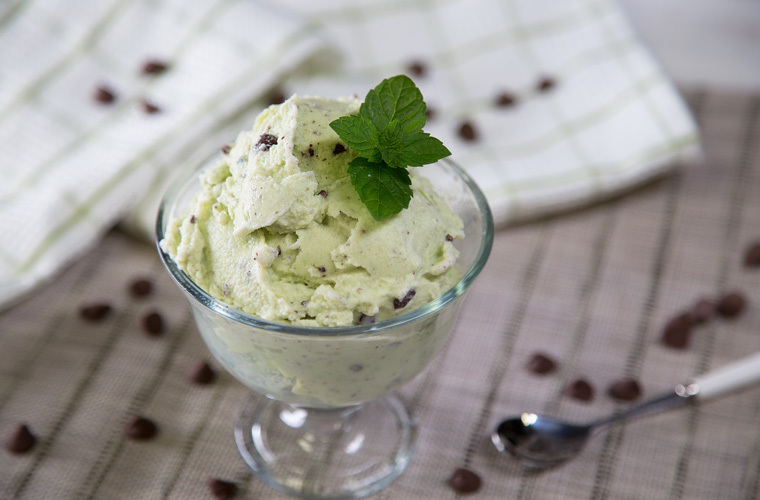 Can you please share the recipe for the mint chocolate chip ice cream that is made when they demo the blendtec at Costco? It is made with almond milk and is delicious. I was so disappointed when it was not in the recipe book. 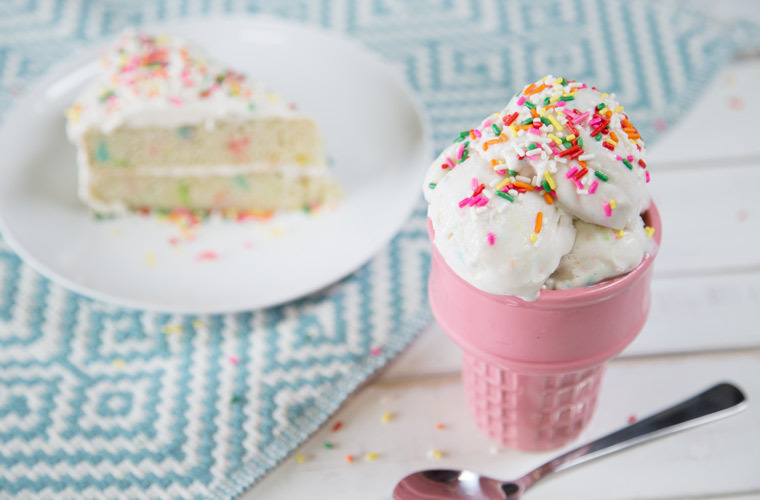 Do you have suger free ice cream recipe? The 2 cups of frozen whole milk is approximately 454 grams of whole milk, then pour it into an ice tray (or more, if necessary) and freeze. It’s approximately 454 grams of milk, that you then pour into an ice cube tray and freeze. There is not enough lemon juice to make the milk curdle. You can still make it without it though. I’m curious about the mint chocolate chip. I’m guessing the spinach is for color. I don’t have peppermint extract but I do have mint growing in the garden. (I’m embarrassed to say I don’t know if it’s peppermint or spearmint or what.) If I sub in my mint for the peppermint extract, is it just to taste, or is there an amount I should target? Do you think the mint leaves would add the color I’d be looking for? We used the WildSide or WildSide+ jar, and found it gave the best results. You can use the FourSide jar, but it may take a little longer and a bit more work. 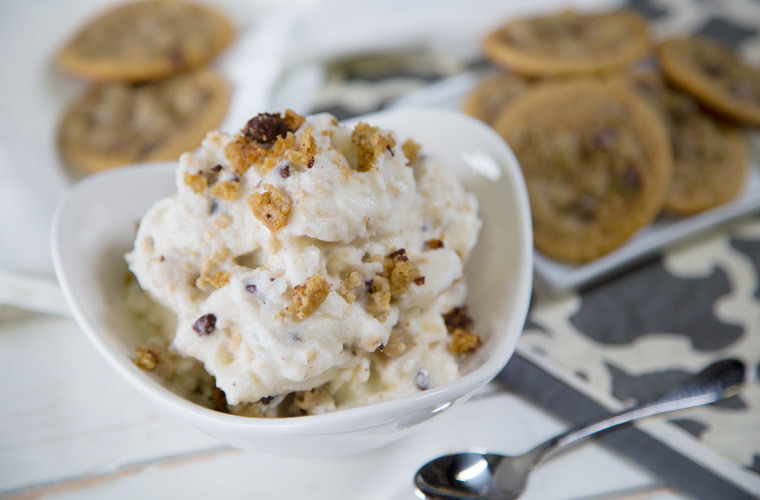 We don’t have a butter pecan ice cream recipe, but that’s a great idea. We’ll have to try it out! Check out the end of the post; we’ve added some dairy-free options. You can substitute the whole milk with almond milk, but the ice cream will not come out as thick. If it’s not the consistency you want, you can put the ice cream in another container and let it freeze for a bit. We updated this post to include links to some dairy-free options. You can find them at the end of the blog post. See http://www.blendtec.com/recipes/banana-soft-serve for the basic bananna ice cream recipe, and you can add ingredients, including a little coconut milk for extra creaminess, and optionally, vanilla extract, cocoa powder, berries, etc. to customize the flavor. Healthy and dairy-free. Do you have fruit sorbet or other frozen deserts for vegans and those with dairy intolerance? Hi there – when you say “2 cups whole milk cubes” is that equivalent to 500g of milk cubes? 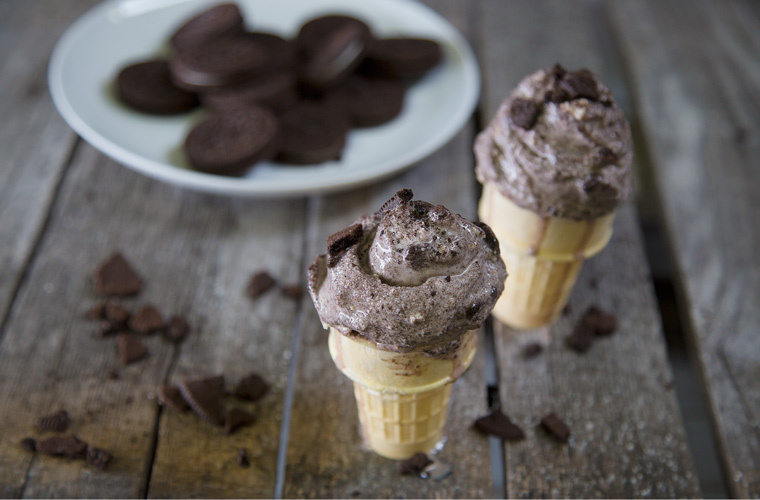 Sure would love to see some dairy free ice cream recipes!! Anyone have one to contribute? Hiya, is half and half milk the same as UK semi skimmed milk? Any chance of having these in UK version? May I substitute the whole milk for almond milk. 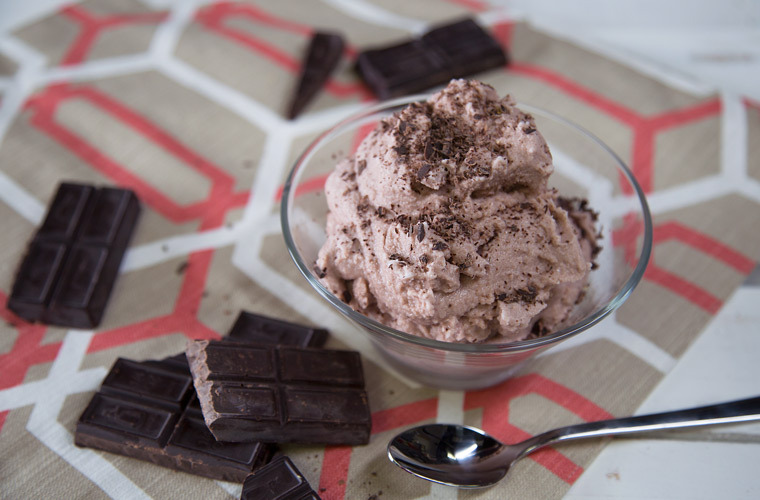 Was excited to see 9 NEW ice-cream recipes…..but sad to see that none are dairy-free. Would love to see at least 1 alternative! Doesn’t the milk curl with the lemon juice? 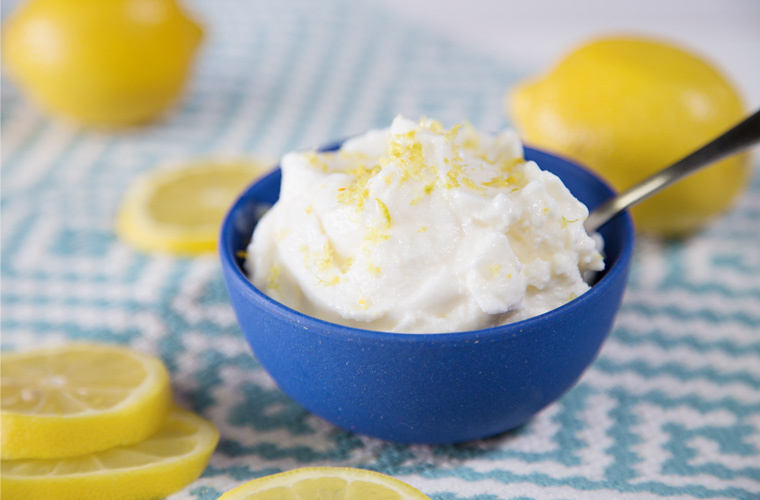 Can I make the ice cream without adding the lemon juice? What is the recommended jar for best results when making these ice creams? If you have a butter pecan ice cream recipe, please post it. You can make these vegan if you make vegan sweetened condensed milk out of coconut milk and then substitute full fat coconut milk for the half and half and any non-dairy milk for the whole milk. It will just be a lot of work. Or can be substituted with soymilk. consistency may not be the same. They can, but the flavor and consistency may not be the same. Can these be made vegan with coconut milk? Add milk, agave, protein powder, peppermint extract and ice to jar and secure lid. Blend on Low for 15 seconds, then blend on Medium High for 30 seconds. Add chocolate chips and press “Pulse” to chop the chips. The whole milk can be substituted for 2% milk or half and half.